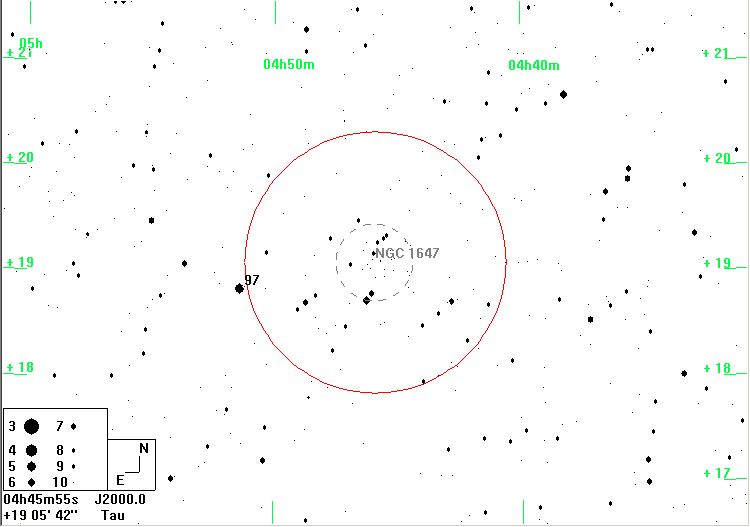 NGC 1647 is 3.5� NE of Aldebaran (a Tau). This is a cluster that deserves to be far better known. 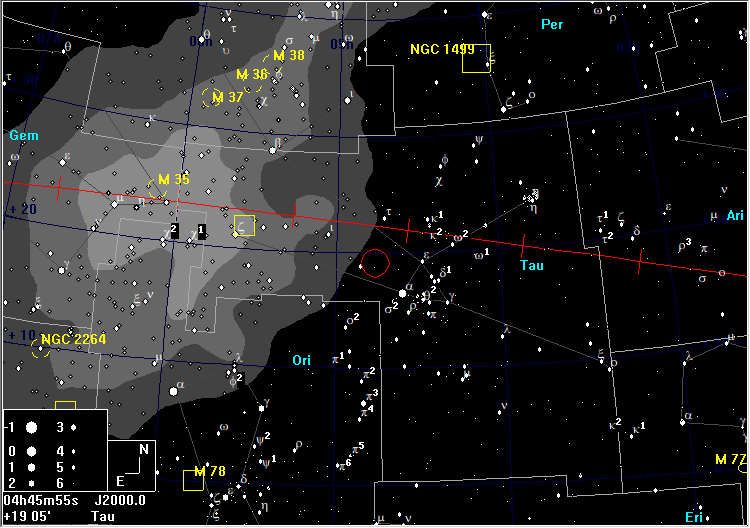 It is under-observed because of its proximity to its illustrious neighbours, the Pleiades and the Hyades. 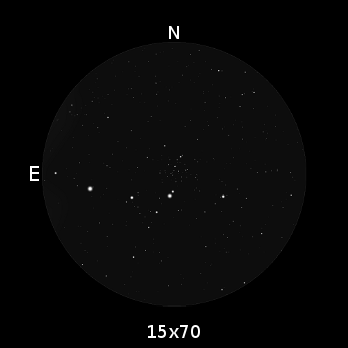 This big, somewhat sparse, grouping of stars is much better in binoculars than it is in a telescope, where it does not always appear to be an obvious cluster.